Agribusiness New Zealand is a New Zealand-based, global-focussed company that specialises in three things: Exporting, investment and international agricultural projects. Agribusiness New Zealand is a New Zealand-based, global-focussed company that specialises in three things: Exporting, investment and international agricultural projects. We sell multiple New Zealand, Australian and South American products into several different markets. We source and facilitate investment into global agri-projects, including New Zealand based projects, and we build and consult on agricultural capacity in countries through our international projects. Agribusiness New Zealand has been involved in exporting over 10,000 live dairy cattle to China. 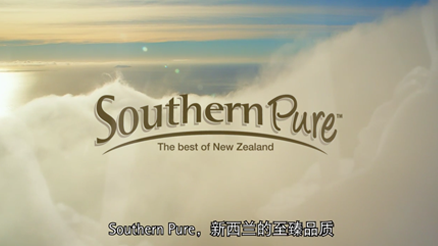 We also export beef and sheep meats, poultry, seafood and other products into China and have recently launched our New Zealand fresh milk brand, “Southern Pure” . This milk is flown to China and is fully traceable back to the New Zealand farms it was produced on. We also have the ability to export other livestock such as Sheep, Alpacas and Goats from both New Zealand and Australia. In addition to this we are able to supply animal nutrition and animal by-products from South America, along with horticulture and wine products from New Zealand. Agribusiness New Zealand is involved in facilitating agricultural investments globally and has been involved with projects in Russia, China, Kazakhstan, Australia and New Zealand. Conor has a background in farming, having started his career farming 7,000 stock units running sheep, cattle, grain, deer and forestry in the southern part of New Zealand. Having worked in the insurance, oil, property, finance and agricultural sectors, Conor has also worked in New Zealand’s parliament as a press and private secretary to the then number 4 in Cabinet, with portfolios including commerce, industry, international trade, lands, fisheries and agriculture. Since then Conor has worked as a lobbyist, Commercial Director and CEO. He was Chief Executive Officer of Federated Farmers of New Zealand for six years. This organisation represents New Zealand’s dairy, sheep and beef, and cropping farmers at international, national and regional level. Conor is now Chairman of Agribusiness New Zealand. He is also part of the New Zealand Governments Animal Trade Advisory Council and a committee member of the Livestock and Animal Germplasm Trade Association. Conor was appointed as one of two independent advisors to the Reserve Bank of New Zealand in May 2015. Agribusiness New Zealand focus on the export of commodity products including seafood, red meat, poultry, live cattle, animal fodder, fruit and wine. We source the very best products from New Zealand, Australia and South America to bring to the world the highest quality primary industry goods. Please contact us using the form below for more information. SouthernPure is a premium brand. It represents the best of New Zealand. Only the best products that meet our stringent quality standards and requirements can receive the Southern Pure Brand. Our fresh milk, the best of New Zealand, is sold in overseas markets. Watch our advertisement for this here. If you would like more information please contact us here.